The 100 Ladies was conceived to empower philanthropic women to take on important projects at the Estate that would be consistent with Charles Deering’s legacy of encouraging art, education and environmental stewardship. The group’s initial project and focus is to provide resources and assistance to furnish the interiors of the historic Richmond Cottage and Stone House. Historic furnishings are the combination of historic spaces, objects and themes. They can evoke a powerful experience for visitors while providing witness to past events and personalities. More than establishing a sense of place, interiors are the actual objects of history because they give form and dimension to history. The National Register of Historical Places is the official list of the Nation’s historic places worthy of preservation. The Deering Estate at Cutler was officially listed on the National Register of Historic Places on March 16, 1986. The National Park Services’ National Register of Historic Places is part of a national program to coordinate and support public and private efforts to identify, evaluate and protect America’s historical and archeological places. 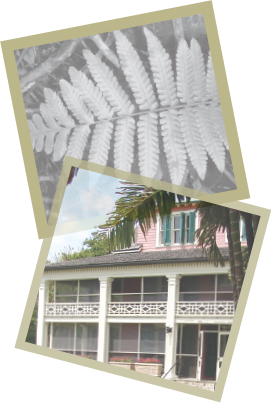 This designation includes the historic structures as well as the interior furnishings in order to foster the historical, cultural, and recreational significance of the Estate. The goal is to represent the overall appearance of the Stone House, Richmond Cottage, outbuildings, grounds and natural areas, as they would have appeared when occupied by Mr. Charles Deering (late 1922) and throughout his life (d.1927). Historical furnishing can be original or reproductive furniture, floor coverings, wall coverings, window treatments, clothing, uniforms, shop items, glass, ceramics, books and accessory items used the represent the appearance of an area to a date or era specified by a site’s interpretive plan. Charles Deering was an avid collector of art and fine furnishings. His collection spanned the history of art and represented artists both known and unknown from all over Europe, Asia and the United States. His art collection included paintings and sculpture from the Italian Renaissance, Dutch Masters, Spanish Modernism, French Impressionism, and American Masters. While Charles’ passion for contemporary art was well documented, he maintained a large collection of antique and high-end furnishings in vogue with the upper class and aristocracy during the turn of the century. Photographic documentation of the interior of Maricel (Charles Deering’s estate in Sitges Spain) reveals that Charles was not concerned with adhering to any particular style or fashion but rather mixed and matched his collection.